Does this patient have secondary hypertension? Secondary hypertension (HTN) can be defined as HTN that has a specific cause, and thus is potentially curable. Although this has not been carefully evaluated in the literature, it represents about 10-15% of all patients with HTN. Chronic kidney disease (CKD), any etiology of CKD can lead to HTN; more than 75% of patients with glomerular filtration rate (GFR) less than 45 ml/min are hypertensive. Early in the disease, HTN is more common in patients with polycystic kidney disease and glomerulopathies (though minimal change disease, membranous nephropathy and amyloid are exceptions to this general rule) than in patients with chronic interstitial disease. However, later in the course of disease, likely as a consequence of severe decline in renal function, the prevalence of HTN is relatively similar across etiologies. Renal artery stenosis (RAS). This represents the most common correctable form of secondary HTN. The majority is due to atherosclerotic disease; about 10% are due to fibromuscular dysplasia (FMD), and even fewer cases are due to a large vessel arteritis (e.g., Takayasu’s arteritis), injury to the renal artery (e.g., trauma or radiation), or external compression (e.g., neurofibromatosis). RAS is present in about 20% of patients with drug-resistant HTN. Atherosclerotic RAS is seen in patients with risk factors for atherosclerosis or patients with established vascular disease in other territories. The prevalence of RAS ranges between 15%-45% in patients with coronary disease, congestive heart failure, aortic disease or peripheral arterial disease. Atherosclerotic RAS is a proximal process, with the plaque affecting the renal artery ostium and proximal third of the main renal artery in the majority of cases. FMD has several histologic varieties, the most common being medial fibroplasia. It principally affects females aged 15-50 who have a history of smoking. The process is typically in the middle to distal portion of the renal artery and can be bilateral in about one-third of patients. On angiography, the affected renal artery has a string-of-beads appearance (in medial fibroplasia). Coarctation of the aorta. Most commonly identified in childhood due to coexistent cardiac malformations, but may go unrecognized until adulthood if unaccompanied by any other lesions. Since most lesions are distal to the ductus arteriosus, the hallmark of the condition is HTN in the upper extremities with normotension in the lower extremities. Early recognition is important because most young patients become normotensive with correction, though re-coarctation is a possibility, especially with percutaneous repairs. Despite early correction of HTN following surgical treatment, patients with repaired coarctation are at increased risk of re-coarctation and recurrent late HTN. Primary aldosteronism. Most cases are due to adrenal hyperplasia (~60%), which is typically bilateral, or aldosterone producing adrenal adenomas (~40%). Uncommon causes include adrenal carcinoma, unilateral adrenal hyperplasia and glucocorticoid-remediable aldosteronism. It is observed in about 5% of all patients with HTN. Hypokalemia is often a trigger of formal evaluation of primary aldosteronism. However, it is present in a variable percentage of patients (~10%-70%), and most patients are actually normokalemic. Hypokalemia is more common among patients with adenomas than in those with bilateral hyperplasia. Primary aldosteronism is present in ~15%-20% of patients with drug-resistant HTN. Cushing’s syndrome. Most patients (~80%) with glucocorticoid excess have HTN. However, they seek medical attention due to other features of the syndrome (weight gain, fatigue, muscle weakness, skin changes, anxiety, glucose intolerance, hyperlipidemia, osteopenia) rather than HTN. HTN may result from endogenous or exogenous (see above) glucocorticoid excess. Patients with ectopic ACTH production tend to have more severe HTN, often accompanied by hypokalemia (not the case in other causes). Pheochromocytoma and paranganglioma. Catecholamine secreting tumors of the adrenal gland or extra-adrenal locations (sympathetic ganglia, bladder, organ of Zuckerkandl) are rare causes of secondary HTN. The importance of recognizing its presentation lies on its potentially fatal course as a cause of acute myocardial infarction and stroke. Most patients are HTN (~90%), though one third have only paroxysmal BP elevations. Of the two thirds with sustained HTN, about half also have episodic peaks. Patients have paroxysmal symptoms of catecholamine excess, most prominently headaches, palpitations and sweating. This diagnostic triad is present in the majority of patients, but has limited specificity. Other common symptoms are anxiety, tremulousness, pallor, flushing, and orthostatic hypotension. “Rules of 10”: 10% are bilateral, 10% are extra-adrenal (of these, 10% extra-abdominal), 10% are malignant, 10% are familial, 10% are normotensive, and 10% occur in children. Familial pheochromocytoma is most commonly associated with multiple endocrine neoplasia type 2 (MEN 2a or 2b), von Hippel Lindau syndrome, and neurofibromatosis. Mutations in the VHL, RET and NF-1 genes are responsible for these associations, respectively. Succinate dehydrogenase (B and D) gene mutations have been associated with familial paraganglioma. Acromegaly. HTN is common among acromegaly patients (~40%), however the exact mechanism causing HTN is not clear and much of its incidence is explained by age and gender. In many patients, however, BP decreases following successful treatment, thus raising the possibility that growth hormone and insulin-like growth factor 1 are indeed related to HTN in this condition. Primary reninism. Typically caused by a benign renin-producing tumor of the juxta-glomerular cells, though several extra-renal locations have been reported. These extra-adrenal sources of renin are usually associated with malignant tumors (adrenal, lung, pancreas, liver, ovary) or teratomas. Patients typically have hypokalemia as a dominant feature. Substances of abuse: alcohol (typically more than 4-5 drink-equivalents per day), cocaine, amphetamines (including the prescription formulation dextroamphetamine), and tobacco. Sympathomimetic agents: (a) cold medications: phenylpropanolamine, phenylephrine, pseudoephedrine, (b) supplements: ephedra, yohimbine (alpha-2 antagonist) (c) stimulants: methylphenidate (Ritalin), modafinil, selective, norepinephrine reuptake inhibitors (venlafaxine, desvenlafaxine, duloxetine). HTN due to these agents often has a paroxysmal component related to timing of use. Oral contraceptives increase the risk of HTN during childbearing years by 80%, though the absolute risk is still small. The risk is higher with earlier generation pills that had higher estrogen and progesterone content, but it is still seen in patients taking low-estrogen pills. There is an increased risk of developing HTN with these agents in patients who developed HTN during previous pregnancies. Stopping the pill leads to resolution of HTN in most, but not all patients. Non-steroidal anti-inflammatory drugs. The hypertensive effect is modest (average 3/2 mmHg), and often is represented by loss of blood pressure (BP) control in patients taking a diuretic or a blocker of the renin-angiotensin system. The HTN is attributed to the inhibition of prostaglandin mediated vasodilation and the promotion of sodium retention. Glucocorticoids and mineralocorticoids. This is a dose-dependent effect, and is typically seen only with systemic therapy, though there are reports of HTN as a result of topical therapy. Glucocorticoids with low mineralocorticoid activity (dexamethasone, budesonide) are less likely to induce HTN. Selective serotonin reuptake inhibitors. These drugs are associated with a modest increase in BP, typically when used for indications other than depression. Interestingly however, when used for hypertensive patients with depression, BP often improves as depressive symptoms improve. Mono-amino-oxidase inhibitors. These typically cause HTN peaks when patients are exposed to tyramine-containing foods, though they can rarely cause chronic HTN. Cyclosporine and tacrolimus are both associated with HTN. Combination with sirolimus increases the likelihood of HTN. Angiogenesis inhibitors, such as anti-VEGF antibodies (bevacizumab), tyrosine kinase inhibitors (sorafenib, sunatinib). All of the agents are associated with HTN that starts during therapy and often persists despite discontinuation. Most cases are related to systemic therapy, though there are isolated reports following intra-vitreal administration. Up to 16% of patients may have severe HTN that requires aggressive treatment. Most patients remain on therapy as the development of HTN correlates with better oncologic outcomes (likely a reflection of successful anti-angiogenesis). Certain common diseases such as sleep apnea, hypothyroidism, hyperthyroidism and hyperparathyroidism are often complicated by HTN. They seldom have HTN as the predominant presenting feature. As part of this chapter, I will not address several genetic forms of HTN (e.g., Liddle’s syndrome, congenital adrenal hyperplasia, Gordon syndrome), dysautonomic syndromes (presenting with BP lability, supine HTN and orthostatic hypotension) and other syndromes of neurogenic HTN, and pregnancy-associated HTN (including pre-eclampsia and eclampsia). Look for symptoms to suggest any of the causes listed above. Special focus should be on common etiologies, such as hypertensogenic drugs, sleep apnea, hypo- and hyperthyroidism, hyperparathyroidism and Cushing’s syndrome, and on life-threatening problems, such as pheochromocytoma/paraganglioma and uncorrected aortic coarctation. Serum potassium: low in primary aldosteronism, primary reninism. Sometimes low in unilateral RAS, Cushing syndrome and pheochromocytoma. Estimated glomerular filtration rate: low in all progressive causes of CKD. Hematocrit: high in sleep apnea. Urinalysis: hematuria and proteinuria could be indicative of a glomerulonephritis. Serum calcium: high in primary hyperparathyroidism. Renal artery stenosis: there are no particular biochemical tests that are useful for the diagnosis of RAS. Some have used the captopril test to assess the likelihood of a favorable BP response to revascularization. In this test, plasma renin activity is measured before and 1 hour after a 50 mg oral dose of captopril. Patients who are likely to respond have a large increase in PRA following captopril, however, this test has poor sensitivity and specificity and little role in clinical practice. Hypertension with hypokalemia. The syndrome of HTN and renal potassium wasting has many possible causes which can represent primary aldosterone excess, secondary aldosteronism, or an aldosterone-like effect produced by another hormone or abnormality. The first step is to confirm the kidney as the source of potassium wasting, which can be done with measurement of increased urine potassium levels (greater than 20 meq/L) in the setting of hypokalemia. High aldosterone (greater than 15 ng/ml) with high plasma renin activity (greater than 1.5 ng/ml/h). This combination results in a variable aldosterone to renin ratio, but it is usually less than 20. These patients have secondary hyperaldosteronism. Typical causes of this pattern include renal artery stenosis (particularly unilateral), diuretic therapy and primary reninism. High aldosterone with suppressed renin activity (less than 0.6 ng/ml/h). This is diagnostic of primary aldosteronism and should lead to further subtype differentiation (see Primary aldosteronism below). Low aldosterone (often suppressed to undetectable levels) and low renin activity. These are patients that behave functionally as patients with hyperaldosteronism but have undetectable aldosterone levels. Therefore, they must have an alternative substance that has mineralocorticoid activity (e.g., deoxycorticosterone, cortisol), or a disorder of decreased degradation of cortisol, thus leaving it available to activate the mineralocorticoid (e.g., licorice ingestion or primary 11-beta-hydoxysteroid dehydrogenase type 2 deficiency), or mutations in the epithelial sodium channel (e.g., Liddle’s syndrome) or the mineralocorticoid receptor (syndrome of HTN exacerbated by pregnancy, aka. Geller syndrome) that lead to increased sodium avidity. While the direct measurement of plasma renin concentration is available commercially, most clinicians prefer a standardized plasma renin activity assay. Primary aldosteronism. The biochemical diagnosis of primary aldosteronism has two sequential approaches: screening and confirmation. Screening is best achieved with the plasma aldosterone-to-renin ratio (ARR) >20 and aldosterone level > 15 ng/ml (see above). ARR is best obtained in the morning and, for screening purposes, can be obtained while on antihypertensive agents, except for mineralocorticoid receptor antagonists. Certain medications and clinical conditions can lead to false negative or false positive ARR results. One should always take these considerations into account when interpreting results. Causes of false positive ARR due to disproportionately decreased renin activity: beta-blockers, central anti-adrenergics (e.g., clonidine, methyldopa), direct renin inhibitors (aliskiren), non-steroidal anti-inflammatory drugs, acute sodium loading, chronic kidney disease, aging. Causes of false positive ARR due to disproportionately higher aldosterone levels: potassium loading. Causes of false negative ARR due to disproportionately increased renin activity: diuretics, ACE inhibitors, angiotensin receptor blockers, calcium channel blockers (especially dihydropyridines), acute sodium depletion, pregnancy, oral contraceptives, renal artery stenosis, malignant HTN. Fludrocortisone suppression (0.1 mg every 6 hours x 4 days along with a high salt diet), and captopril challenge tests (positive if administration of captopril fails to suppress aldosterone levels < 15 ng/dl). Oral salt loading- The patient is instructed to eat salt liberally for 3 days (5000 mg diet), at the end of which period a 24h urine collection is initiated. High salt intake is confirmed by documentation of 24h sodium excretion greater than 200 meq. Occasionally there are patients who have poor appetite for salt and cannot reach these levels by diet alone; in such cases, salt supplementation as salt tablets (1-2 g orally bid-tid) usually solves the problem. 24h aldosterone excretion greater than 12-14 mcg/day under salt loading is diagnostic of primary aldosteronism, which should then lead to subtype differentiation, which is done primarily through imaging modalities (see below). Saline loading- Infusion of IV normal saline is administered over several hours. In normal patients the plasma aldosterone concentration will fall below 5 ng/dL while remaining > 10 ng/dL in primary hyperaldosteronism. Fludrocortisone suppression- 0.1 mg of Fludocortisone is administered every 6 hours x 4 days along with a high salt diet. In normal individuals this will result in aldosterone suppression, but not in primary hyperaldosteronism. Captopril challenge- A positive test occurs when captopril fails to suppress aldosterone levels < 15 ng/dL. In patients suspected of having glucocorticoid-remediable aldosteronism (early HTN, increased risk of hemorrhagic strokes), the diagnosis can be made by measuring plasma aldosterone after the patent takes dexamethasone 0.5 mg orally 4x a day for 3 days. Plasma aldosterone should be fully suppressed (less than 5 ng/dl). Alternatively, these patients can be identified through testing for the chimeric gene mutation (between the aldosterone synthase and 11-beta-hydroxylase genes). The measurement of urinary excretion of the hybrid steroids 18-hydroxycortisol and 18-oxocortisol can also be used, though are performed by few laboratories and require a 24-hour urine collection. Pheochromocytoma/Paranganglioma. Confirmation of biochemical catecholamine excess is essential to making this diagnosis. The use of plasma catecholamines, however, is fraught with excessive variability and suboptimal specificity unless performed under extremely careful conditions, which makes it impractical in clinical practice. In addition, many tumors (up to 30%) do not actively secrete catecholamines, but virtually all have extensive intratumor catecholamine metabolism. Accordingly, the measurement of catecholamine metabolites is the best means of making the diagnosis. This can be accomplished by the measurement of 24-hour urine metanephrines excretion (fractionated metanephrines and nor-metanephrine) or plasma fractionated metanephrines. Plasma fractionated metanephrines have excellent sensitivity (99%) and specificity (89%) in adults, are easy to obtain through a single blood draw, and have thus become the preferred test in most centers. Most of the false positives are due to concomitant use of tricyclic antidepressants, nor-epinephrine reuptake inhibitors (e.g., venlafaxine), MAO-inhibitors or phenoxybenzamine. These drugs seldom cause elevations that are greater than twice the upper limit of normal. One of the commercially available assays is affected by the use of acetaminophen. Therefore, it may be appropriate to confirm that the patient has not ingested acetaminophen in the 24 hours preceding the test. This test is most accurate when the patient remains supine for at least 15 minutes after insertion of the intravenous catheter to limit spurious increases related to the venipuncture. 24-hour urine metanephrines have high sensitivity (97%) and borderline specificity (69%) in adults. Levels typically increase following a symptomatic spell; thus, it is often useful to start a collection immediately following a spell in patients with a normal initial collection when the clinical suspicion is high. Most patients with pheo/paraganglioma have serum and urine metanephrine levels that are at least 2-4 times above the upper limit of normal. Therefore, current guidelines recommend that patients with borderline elevations and a strong clinical suspicion should undergo the clonidine suppression test. In this test, clonidine 0.3 mg is given orally and plasma metanephrines are measured before and 3 hours after dosing. Normally, clonidine lowers catecholamine and metanephrine levels by greater than 50% or total catecholamine level ≤500 pg/ml, while this does not occur in patients with pheo/paraganglioma. Diuretics need to be stopped 5-7 days before the test as they can induce false-positive results, as can tricyclic antidepressants. Patients with a family history of pheo/paraganglioma, diagnosis at a young age, multifocal tumors, extra-adrenal tumors, and malignant tumors should be considered for genetic screening for possible syndromes, such as MEN-2 (RET gene), von Hippel-Lindau (VHL gene), neurofibromatosis (NF-1 gene) and succinate dehydrogenase gene mutations (particularly SDH B and D). Other mutations with pathogenic relevance have been described, and there is growing evidence that specific mutations can be encountered in 25-40% of patients with sporadic pheo/paraganglioma, especially in children. Renal artery stenosis. Imaging techniques are the cornerstone of the diagnosis of RAS. In addition, several tests can provide information related to the hemodynamic significance of the lesion. Anatomical identification of RAS is best obtained non-invasively using computed tomography angiography (CTA) or magnetic resonance angiography (MRA). The CTA and MRAs are operator-independent and provide excellent detail of the renal vasculature. The diagnosis is made based on direct visualization of the plaque and estimation of the degree of stenosis and the presence of post-stenotic dilatation. It is now generally accepted that a lesion should occlude at least 70%-75% of the arterial lumen to be considered for treatment. The major caveats are the need for breath-holding ability to limit artifact (MRA), the tendency to overestimate lesions (both), the lack of physiological information, and the need to administer contrast (both). Because these patients often have decreased renal function, the use of iodinated contrast (CTA) can result in acute kidney injury, and the use of gadolinium (MRA) can cause nephrogenic systemic fibrosis. Accurate MRA protocols without contrast are becoming available and may obviate this concern. Novel techniques are under development to provide functional data in RAS. The most promising appears to be blood oxygen level dependent MRI (BOLD-MRI), a technique that detects areas of ischemia (based on deoxyhemoglobin levels) in the kidney. This modality is being perfected to identify kidneys that remain viable despite underlying ischemia, which may allow clinicians to identify good candidates for revascularization. Duplex ultrasound is another non-invasive test which is operator dependent, and in experienced hands, is ~90% accurate for the diagnosis of RAS. It does not provide a good means to visualize the stenosis. Instead, the diagnosis is made by the increase in flow velocity at the site of stenosis rather than direct visualization. A renal-to-aortic ratio greater than 3.5 (with peak systolic velocity greater than 200 cm/sec) is indicative of renal artery stenosis greater than 60% on angiography. Doppler tracings obtained over the renal parenchyma can provide physiological information that is relevant to management, including the acceleration times and resistive indices. Acceleration times reflect the time taken by the incident pulse wave to reach its peak. In conditions of restricted flow, the acceleration time is increased (Greater than 100 msec), which results in a pulse wave of decreased amplitude and late peak (i.e., a “pulsus parvus et tardus”). This abnormality occurs relatively late in RAS, so the test is insensitive but quite specific for hemodynamically significant lesions. The resistive index [(peak systolic velocity – diastolic velocity)/peak systolic velocity] is a marker of increased parenchymal resistance to blood flow due to renovascular resistance, but is also influenced by systemic factors, such as heart rate, peripheral vascular resistance, and arterial stiffness. It can be increased (greater than 0.8) in the setting of acute kidney injury (e.g., tubular necrosis, acute rejection) or chronic kidney disease of any etiology. It is low on the side of a hemodynamically significant inflow restriction (e.g., RAS). Therefore, this test has two uses in RAS. A low resistive index (less than 0.6) confirms that the lesion is likely hemodynamically significant, while a high level makes this less likely. On the contralateral side, a resistive index greater than 0.8 is associated with lower likelihood of clinical response to revascularization as it serves as a marker of irreversible underlying parenchymal damage. The major shortcomings of duplex ultrasound are its operator-dependence, the fact that it is time-consuming, and that images cannot be obtained in up to 25% of patients, especially the obese. ACE inhibitor-enhanced renal scintigraphy was extensively used in the past for the diagnosis of RAS and for identification of patients whose BP would improve following revascularization. Unfortunately, this technique has limited diagnostic accuracy for both of these roles. However, there is evidence that, in patients with normal renal function, a “lateralizing” ACE-inhibitor enhanced scintigram (i.e., delayed unilateral radiotracer excretion after the ACE inhibitor) is associated with a favorable BP outcome. A test is positive when there is a significant increase in the time to peak activity (>11 minutes) and /or a significant decrease in tracer uptake on the side of the lesion in the post-ACEi images. Renal angiography is still the gold-standard for diagnosis of RAS, though now rarely used it as a diagnostic test because MRA and CTA have very high negative predictive values. Therefore, most patients undergoing angiography do so to confirm the diagnosis at the time of intervention. In addition to confirmation of the diagnosis, the hemodynamic significance of a lesion can be determined during angiography. The most commonly used marker of hemodynamic significance is the intra-procedural determination of the trans-stenotic BP gradient. A gradient of at least 10% for systolic BP is required for intervention, a threshold that is based on data demonstrating increased renin secretion when a trans-lesion pressure gradient >10% is present. Primary aldosteronism. Imaging tests and procedures are essential to subtype differentiation in PA.
Adrenal CT scanning is often the first step in subtype differentiation. Its major current role is to rule out an adrenal carcinoma, which is typically a large mass (rarely less than 4 cm). Visualization of a small (less than 3 cm), hypodense (less than 10 Hounsfield units) adrenal nodule is virtually diagnostic of an adenoma. However, growing evidence using adrenal venous sampling (AVS, see below) indicates that these nodules are non-functional in 20%-25% of cases. In addition, up to 25% of functional adenomas may go undetected by CT scanning. Non-functional adrenal nodules are more common with increasing age, especially after the fifth decade, likely explaining many of the false-positive results. In all, CT scans are accurate for subtype differentiation in only about half of patients. Therefore, the most appropriate method to distinguish between the clinical subtypes is AVS. Adrenal venous sampling (AVS) is the gold-standard for subtype differentiation in PA. It detects lateralization of aldosterone secretion which, when present, indicates the presence of an aldosterone producing adenoma or, much less commonly, of unilateral adrenal hyperplasia. The test is sensitive to drugs that alter aldosterone production, including blockers of the renin-angiotensin system, beta-blockers and diuretics. These drugs should be stopped at least 2 weeks prior to testing. Of greater relevance, mineralocorticoid antagonists must be discontinued at least 4 weeks prior to testing. The procedure should be performed by an experienced interventional radiologist who is familiar with the protocol and who is skilled in the insertion of the catheters, especially because of the angle of the right adrenal vein, which precludes successful catheterization in up to 25% of cases. AVS can be performed either as sequential or simultaneous sampling of both adrenal veins. The test starts with the administration of cosyntropin, which is used to produce maximal cortisol secretion from both adrenal glands, in order to provide a good means for “adjustment” of the aldosterone results. Continuous infusion utilizes 50 mcg/hour intravenously starting 30 minutes prior to the catheterization and continued until the end of the procedure. When bolus dosing is used, the bolus (250 mcg IV) is given before and after sampling. Blood is sampled from each of the adrenal glands and a peripheral site (can be the inferior vena cava or an upper extremity vein) and is sent for both aldosterone and cortisol. As a practical matter, it is important to inform the laboratory that these are samples from the adrenal veins so that the laboratory can perform measurements on diluted specimens. This is because the concentrations in the adrenal vein are very high and samples are read as “too high.” Dilution allows the values to come down to the usual detection range of the assays, and the final result can then be multiplied by the amount of dilution. Interpretation of results. First, each aldosterone and cortisol level should be evaluated as ratios. Second, the aldosterone/cortisol ratio for the right is compared with the left adrenal vein, and both are compared with the peripheral ratio. If the aldosterone/cortisol ratio on one of the adrenal veins is more than 2x higher than on the contralateral side, the diagnosis of lateralization is made. Most adenomas have lateralizing levels that are 10-20x greater than on the contralateral side. In addition, patients with APA’s typically have suppressed secretion from the contralateral side (defined as aldosterone/cortisol ratio from the contralateral side lower than that from the periphery). The identification of the site of the tumor is obviously the key first step in the management of pheo/paraganglioma after biochemical determination of catecholamine excess. CT or MRI: Because most of the lesions are intra-abdominal (90% adrenal, greater than 5% extra-adrenal intra-abdominal), the first imaging is either a CT or MRI of the abdomen. Most lesions are relatively large (greater than 3 cm). Lesions that are greater than 10 cm or multifocal lesions should raise the possibility of malignancy. In patients with suspected genetic syndromes, imaging should cover the neck down to the pelvis and should be performed to rule out extra-adrenal disease. MRI may be preferable due to the ability to detect a lesion that is suggestive of pheo/paraganglioma based on its hyperintense appearance on T-2 imaging, whereas the appearance on CT is indistinguishable from other lesions. If the appearance on MRI is typical of pheo (i.e., an adrenal lesion), the diagnosis is complete at this point. If the lesion is extra-adrenal, most clinicians obtain a 123-I-metaiodobenzylguanidine (MIBG) scintigram. This scan uses a molecule that is similar to norepinephrine which is captured by active tumors. This test is useful to identify a non-adrenal mass is adrenergic in nature. It can also identify multifocal and metastatic tumors. In patients with clinical and biochemical evidence of pheo and normal abdominal MRI or CT, MIBG can be helpful in identifying extra-abdominal lesions. There are several newer diagnostic techniques with potential for better identification of pheo/paraganglioma. These are based on positron emission tomography (PET) imaging and use a variety of agents that can be useful in identifying metastatic disease as well as having better diagnostic performance for hereditary pheo/paraganglioma. Unfortunately, many of these agents (other than 18F-fluorodeoxyglucose) are not commercially available for clinical use in the United States. Clinical suspicion should lead to imaging with CTA, MRA or duplex ultrasound for screening. Only lesions greater than 70%-75% are considered significant enough to deserve treatment consideration. Elevated ipsilateral acceleration times (greater than 100 msec) suggest hemodynamic significance of the lesion. Elevated contralateral resistive indices (greater than 0.8) suggest low likelihood of clinical response to revascularization. High ARR (greater than 25) with serum aldosterone greater than 15 ng/ml constitute a positive screen. 24-hour urine aldosterone greater than 12-14 mcg/day under sodium loading (greater than 200 meq/day x3 days) confirms the diagnosis. An adrenal CT identifies adenomas and rules out adrenal carcinoma. Subtype differentiation focuses primarily on the distinction between adenoma and bilateral hyperplasia. This is best done by adrenal venous sampling to establish lateralization of aldosterone secretion. Only young patients (less than 40 years) with a well defined adenoma should be taken to surgery without AVS. In view of the increased frequency of adrenal incidentalomas with aging, all others should undergo AVS if surgical therapy is entertained. Elevated plasma or 24-hour urine fractionated metanephrines (greater than 2x reference) establish the diagnosis of catecholamine excess. In patients with borderline elevations (less than 2x), possible confounders should be entertained (tricyclic antidepressants, norepinephrine reuptake inhibitors, acetaminophen, conditions of blood drawing). If concerns remain, a clonidine suppression test can be performed. Abdominal CT or MRI is the first diagnostic step after biochemical confirmation of catecholamine excess. A hyperintense adrenal mass on MRI (T-2 imaging) is diagnostic of pheo. 123I-MIBG scanning is used to confirm catecholamine avidity of extra-adrenal lesions. How should patients with secondary hypertension be managed? All patients should receive optimal medical management. This includes medications to control blood pressure, aspirin or other antiplatelet, statin, and smoking cessation. The use of ACEi in observational studies is associated with reduced risk of death and end-stage kidney disease in individuals with RAS. Revascularization should be considered with progressive loss of renal function (especially in patients with bilateral disease), resistant HTN, and unexplained flash pulmonary edema. However, there is little evidence from clinical trials to support an advantage of intervention over medical therapy. The current management of RAS is primarily percutaneous. Stent placement is indicated with ostial atherosclerotic stenosis, the more proximal atherosclerotic lesions require stenting due to elastic recoiling that occurs in most patients following angioplasty. Stenting leads to better primary patency and decreased need for reintervention. Surgical bypass (aorto-renal, spleno-renal) is now infrequently used ~2% of cases). Surgical approaches are used primarily in patients who will be undergoing simultaneous open aortic surgery or in those whose lesions are very complex and not amenable to percutaneous therapy. Patients with FMD are treated to improve their HTN. Renal dysfunction is uncommon. 36%-54% of treated patients have resolution of their HTN, and this outcome is strongly influenced by patient age (i.e., lower response rate in older patients). A meta-analysis of three trials including patients undergoing renal angioplasty (no stenting) or conservative therapy indicated that intervention results in ~7/3 mmHg BP reduction without a demonstrable effect on renal function. A common problem in early trials was a high rate of cross-over from the conservative group to the intervention group. Among patients undergoing stenting or conservative therapy, two trials (ASTRAL and BEST) studied patients with relatively mild degrees of stenosis, patients with stable clinical course and reasonable BP control, and patients whose clinicians were “uncertain that patients would definitely benefit from revascularization.” In these patients, stenting did not result in any BP reduction, renal function improvement, or any effect on the occurrence cardiovascular events, end-stage kidney disease or death. In the largest, most detailed trial (CORAL) comparing intervention with medical therapy, patients with HTN and significant stenosis (greater than 80% or 60%-80% with a trans-stenotic systolic BP gradient greater than 20 mmHg), did not benefit from intervention. After a median follow-up of 3.6 years, there was a nominally greater decrease in systolic BP in the stent group (-2.3 mmHg compared with medical therapy, P=0.03). There was no difference in the occurrence of the composite primary endpoint (cardiovascular or renal death, myocardial infarction, hospitalization for congestive heart failure, stroke, progressive kidney disease, and need for renal replacement therapy: 35.1% in the stent group, 35.8% in the medical group, P=0.58), any of its individual components, or any of the secondary endpoints. A meta-analysis of five randomized clinical trials evaluating the effect of percutaneous renal artery revascularization (with or without stenting) versus medical therapy, revealed no role for intervention to reduce the occurrence of non-fatal myocardial infarction. A total of 56 events occurred during follow-up, and renal revascularization did not affect the risk (risk ratio = 0.86 [0.51-1.43], P=0.55), regardless of whether a stent was implanted or not, and was independent of follow-up renal function or length of follow-up. The available evidence tells us that patients who are clinically stable should be treated medically. I often indicate revascularization in patients with a rapid decline in renal function. Resistant HTN is an infrequent indication. More common are patients who have bilateral disease and develop renal hypoperfusion and loss of renal function upon achievement of adequate BP control. Approximately one third of patients undergoing intervention experience worsening renal function. This is typically the result of contrast nephropathy (which can be prevented with adequate periprocedural hydration in high risk patients) or atheroembolic renal disease, which often goes unsuspected and undiagnosed. The treatment of primary aldosteronism differs according to etiology. Patients with bilateral hyperplasia receive medical therapy consisting of a mineralocorticoid receptor antagonist as the cornerstone of therapy. A recent clinical trial showed that spironolactone was slightly better than eplerenone, though the doses may not have been precisely exchangeable. It is reasonable to start with spironolactone 25 mg once daily and escalate the dose as needed (typically 50-100 mg/day) to achieve BP and potassium control. For those patients who develop intolerable side effects to spironolactone, especially those related to its antiandrogenic effects, eplerenone can be substituted for spironolactone. Thiazide diuretics are often helpful in achieving BP control in addition to spironolactone, though potassium levels must be monitored very closely as they may fall substantially with the thiazide. Calcium channel blockers are particularly effective for BP control in primary aldosteronism. These patients may benefit from laparoscopic unilateral adrenalectomy. All adrenalectomized patients experience normalization of serum potassium levels. BP improvement occurs primarily in younger patients who are lean, more often female, have a recent history of HTN (less than 6 years) and require fewer than two drugs for treatment of their HTN. Patients with all of these features have a 75% chance of cure of their HTN. However, in patients with none of these favorable features and those with high perioperative risk, medical therapy is acceptable. Long-term follow-up of patients treated medically with spironolactone suggests a favorable prognosis. Patients with GRA respond to low dose glucocorticoids and/or a mineralocorticoid receptor antagonist (spironolactone or eplerenone). Once diagnosed, patients with Pheo/Pragranlioma should undergo surgical resection. Patients with benign disease are typically treated surgically with laparoscopic adrenalectomy or with direct excision of an extra-adrenal lesion. Malignant disease is also treated surgically, though metastatic disease requires chemotherapy with a variety of different agents. The perioperative management of these patients is key to limit morbidity from hypertensive peaks (and troughs) during surgery. This is accomplished by combined alpha- and beta- adrenergic blockade, and generally takes 7-10 days. Phenoxybenazamine, a non-selective alpha blocker, provides the most complete levels of alpha blockade and is the agent of choice, and should be initiated 1-2 weeks prior to surgery. Started at a dose of 5-10 mg orally BID and is then escalated daily to achieve adequate BP levels (120-140/80-90 mmHg). After 2-4 days of treatment, the patient is told to liberalize salt intake. This may be contra-indicated in patients with heart failure. A reasonable starting dose is metoprolol tartrate 25-50 mg PO twice daily; with slow up titration to achieve a heart rate less than 80 bpm. Beta-adrenergic blockade should never be initiated first since unopposed adrenergic activity can result in worsening hypertension. Patients who are intolerant to anti-adrenergic therapy should receive metyrosine, a drug that inhibits catecholamine synthesis. What happens to patients with various forms of secondary hypertension? Patients screened for RAS who go untreated are at risk of occlusion and atrophy of the ipsilateral kidney (~10% and 22% over 3 years, respectively). However, studies of incidental RAS (i.e., no indication for screening) show a favorable course, though patients with RAS are known to be at increased risk of cardiovascular events compared with control subjects without renovascular disease, likely an indication of overall atherosclerotic disease burden. Untreated aldosteronism is associated with increased risk of cardiovascular events. However, treatment of the aldosterone excess (by adrenalectomy or mineralocorticoid receptor blockade) minimizes this risk. Treatment of benign or localized malignant disease is typically curative. Patients with metastatic malignant disease have an unfavorable course despite chemotherapy. Specialty consultations. A close working relationship with several other specialties is necessary in the management of secondary causes of HTN. 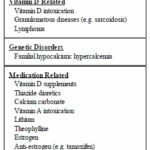 Endocrinology: many of the causes listed above. In many circumstances, such as in Cushing’s, acromegaly, hyperparathyroidism, hyper/hypothyroidism, the endocrinologist will be responsible for most of the management, as most HTN specialists are not familiar with the management of these conditions. Endocrine surgery: adrenal adenomas, pheochromocytomas/paragangliomas, and some cases of Cushing’s syndrome. Interventional radiology: renal artery stenosis, hyperaldosteronism (adrenal venous sampling). Interventional cardiology: renal artery stenosis. Vascular surgery: renal artery stenosis. Nurses are critical partners in patient follow-up. Many programs utilize nursing staff to improve patient education and adherence. Home telemedicine services are often helpful for evaluation and management. Pharmacists are important when available to co-manage HTN. Clinical pharmacists can see patients and titrate therapy. General guidelines (European) – 2013 ESH/ESC Guidelines for the management of arterial hypertension. J Hypertens 2013; 31:1281-1357. Limitations of current guidelines: JNC 8 did not address secondary causes of hypertension. Typical lengths of stay. NOT APPLICABLE. Cooper, CJ. “Stenting and Medical Therapy for Atherosclerotic Renal-Artery Stenosis.”. N Engl J Med.. vol. 370. 2014. pp. 13-22. (Stenting and medical therapy are equivalent to prevent cardio-renal events in patients with atherosclerotic renal artery stenosis).